Few movies defined a generation more than the Breakfast Club. 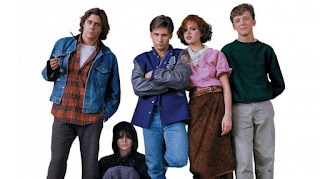 Of course, as a pastor's kid in a fundamental baptist church, I didn't see the Breakfast Club until nearly 20 years after it was made. But when I did see it, I couldn't help but notice some of the themes are timeless and universal. We are all dysfunctional. Those who appear to have it all together are just better at hiding their issues. Those who seek power for themselves are inevitably corrupted when they get it. Family life is really important. Nothing unifies people more quickly than rebellion against authority. Libraries are a great place for tomfoolery.